Schumi wrote: These figures are from Neogaf thread on the topic. They are PES's best numbers in comparison with FIFA (in the UK, worldwide stats I don't have), and they did get really close. Pretty sure PES was on a whole lot less platforms back then too compared to FIFA. PES has just fallen away so much, but FIFA has grown massively too now that EA put some effort into it. Yeah PES 2 - 6 i think is when it was at it's best. My last favourite PES was the 6th one. 6 was gooseberry fool. 5 was the end of the line for this series. I think it did decent numbers because the 360 had just launched as people were desperate for a new gen pro evo. Myself included. When i played it the horror. I loved 6 it actually had a stable online mode unlike most of the PES games since then. Pro was always about the multiplayer for me, i suppose before online gaming evolved. Konami seemed to screw that up, and it went from bad to worse. 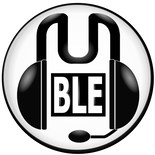 Oh yeah the offline multi was amazing, i use to play all the previous ones with my mates on a weekly basis. Fifa at that point was an absolute joke of a game,PES 6 was my first introduction to online football games. The 360 version had a weird new engine which looked a little different to the ps2 version but once you got use to that it was ok as everything else was the same. The online mode though was really solid at least for me and i remember having some epic games although you could really mess with the formations. I remember needing to win a game badly once and i put 6 players up front and hoofing the ball repeatedly just to get a win. 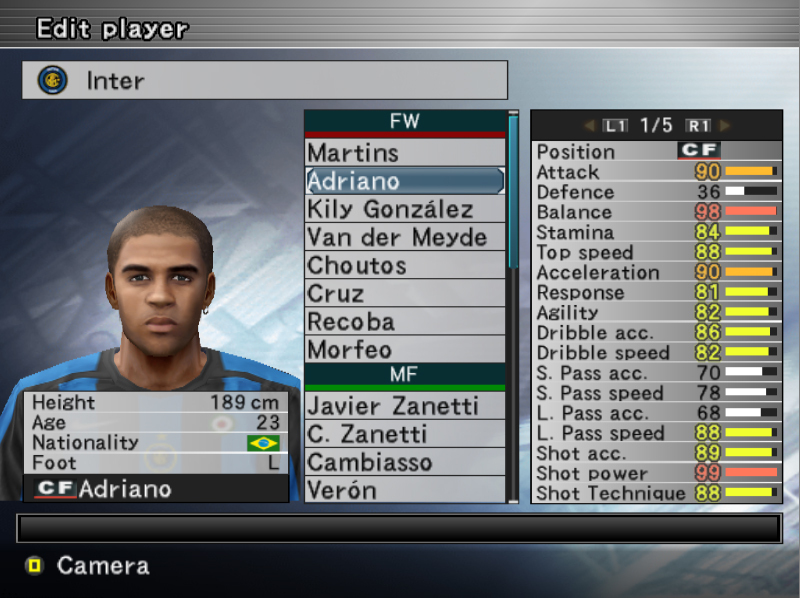 Adriano was also the most OP player ever.Check out that shot power. Sounds like some weird bugs and yep might just be around The Journey. I havent come across any major bugs yet in FUT. The only weird things i have had is the AI going a little bit crazy at points, one especially in FUT which ended up letting the other players score a tap in. It was some weird thing where my goalie for some reason just had to get the ball, decided to slide save it which put it in the path of a player and they tapped it in. I won in the end so no biggie but it was infuriating. regarding the defender check your settings. There is a setting regarding how much running your defender continues with when switching players. Not sure what the default is but i am fairly sure i changed mine ages ago,because of EA profiles all my settings move from version to version. Up to Division 3 on seasons on this now and loving it. Think the fluidity, in terms of controlling the ball, passing it, stopping & changing direction is really good. They say this every year but I feel like the movement of team mates has really improved. Trying to introduce a few more threaded through balls and hard low shots, which I think are a good additions, to my game. Also having not scored from a corner yet had a look at a You Tube tutorial last night so hopefully that'll make a difference. But don't worry, FIFA 16 fans, GINX will continue to show the same tournament over and over. Right, after a couple of seasons away from the pitch I’m looking at getting a new football game. My current game is PES2016 which I’ve played to death and am utterly sick of, but before that it was FIFA all the way back to PES6. Last edited by Preezy on Sat Oct 07, 2017 3:45 pm, edited 2 times in total. Anyone able to answer my question above? Preezy wrote: Anyone able to answer my question above? It appears that that the Alex Hunter journey mode has replaced a create-a-player option, Preezy.